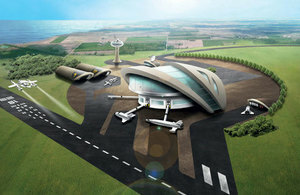 The UK government’s goal to build the first spaceport in Europe (and my dream to see a rocket launch in person) took one step closer to being a reality. With the Space Industry Bill receiving royal assent, officially becoming UK law, the groundwork regulation is in place to move ahead with plans to build this spaceport by 2020. Granted, it’s going to happen a lot later than the initially promised deadline of 2018 (surprise surprise, a politician doesn’t stick to a deadline). “The Space Industry Bill offers an exciting opportunity for the UK to soar to new heights and be at the forefront of the commercial space age. Through the government’s ambitious Industrial Strategy, we are working with the sector to pursue pioneering commercial space opportunities, including developing new technologies, infrastructure and services,” Science Minister Sam Gyimah commented. It is hoped that with this bill, the UK’s spaceport will become a “one-stop shop” for the private space industry and become a hub for future research in the public sector - with potential projects ranging from using satellite data to identify the best electric vehicle charging points, to battling marine waste by identifying any rubbish we don’t see. There are certainly plenty of literal benefits of this spaceport, but what about the intangible? My Dad remembers the 1969 moon landing - piling in his Grandma’s house with friends & family, as she was the only one who could afford an 8” black and white television at the time. Britain’s media was in overdrive with the news of NASA’s imminent mission to put a man on the moon, with the papers, Blue Peter and every radio station talking about this once in a generation moment that nobody thought was possible - encouraging a new world of scientists who have introduced plenty of amazing innovations we all benefit from today. For decades, to watch a launch in person has been a pipe dream for the majority of Britons. But this Space Industry act and the government-backed plans to build this spaceport give me and many other astronomy nerds a wealth of optimism - sure to inspire future generations to pursue a career in the sciences. The only issue? Brexit. While our relationship with the ESA will not be impacted by leaving the EU, many of its programs are funded by the Union. That is sure to raise some doubt in this relationship, but hopefully not enough to disrupt this project entirely.